It is the purpose of One Hundred Years in Yosemite to preserve and disseminate the true story of the discovery and preservation of America’s first public reservation to be set aside for its natural beauty and scientific interest. When the original version of this book was written in 1930, I had recently completed the collation of manuscript diaries and correspondence, newspaper files, old journals, hotel registers, state and federal reports, photographs, and a variety of other pertinent historical source materials in the library of the Yosemite Museum. This was the material upon which the book was based. In the preface of the book I made a plea for the contribution of additional Yosemite memorabilia to be added to the Yosemite archives. 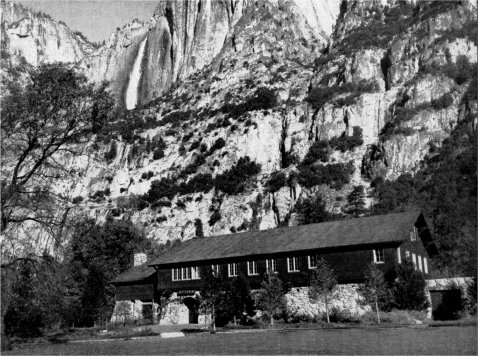 Perhaps some of the fine response from donors during the past sixteen years is traceable to that plea; more likely, the increased interest in the Yosemite Museum results from the creditable work of the park’s staff members and the message carried by the monthly publication, Yosemite Nature Notes. The notable growth of the Yosemite Museum collections and the improvement of its exhibits and its general program of interpretive work are heartening to all who had a hand in the establishment of the work. 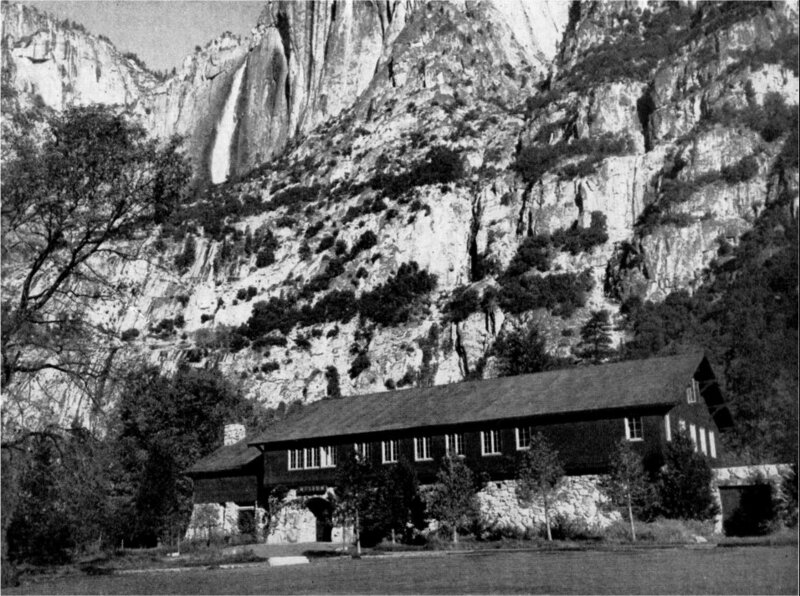 In the original version, and in bringing to the present work the benefit of new material, I have attempted to organize the published information which has been confirmed by the oral testimony of many Yosemite pioneers and enriched with authentic data from unpublished manuscripts prepared by other “old-timers” to whom I could not speak. In order that a convenient chronology of events might be available to the reader, an outline is appended to the book. This includes the episodes related in the text and in addition mentions many obscure events not treated in the narrative. It also provides ready reference to the sources drawn upon in writing. This method of citing sources has made it unnecessary to encumber the pages of the text with numerous footnotes.Most of the manuscripts referred to are the property of the Yosemite Museum. The whereabouts of other manuscripts is indicated in the bibliography. To the donors of the expanding collection of source materials and to the Yosemite staff members, also, who have accomplished so much in organizing, interpreting, and publishing upon these materials, I am indebted. Their interest and their labors have facilitated my present writing, and their conscientious handling of file systems, accession records, stored collections, and publication programs will facilitate the work of future investigators of Yosemite history and natural history. At the same time, their good museum practices should inspire further public confidence in the integrity of the Yosemite program, and the collections will continue to grow. C. A. Harwell and C. Frank Brockman and former museum-secretary, Mrs. William Godfrey, made especially important contributions; however, the extraordinary interest of every member of the park naturalist staff has placed me in the debt of the entire organization. The American Association of Museums, in addition to cooperating with the National Park Service in founding the Yosemite Museum, has contributed directly to the production of this book by assisting me in the collecting of rare publications and helping, generally, in assembling Yosemite data. The Yosemite Park and Curry Company has made available many publications and photographs. Mrs. Don Tresidder of that organization, particularly, has given material assistance in establishing dates and historical facts. The Sierra Club has permitted the use of my article, “Mining Excitements East of Yosemite;” which was first published in the Sierra Club Bulletin. To David R. Brower, Editor of the Sierra Club Bulletin and at the University of California Press, I acknowledge particular indebtedness, not only for editorial guidance in producing the book but, also, for his historian’s sense and his basic knowledge of the Yosemite terrain and its story. Some of his contributions to the content of the text are acknowledged elsewhere, but his friendly help has extended to every part of the book. Francis E Farquhar and Ansel F. Hall, during a quarter of a century of our friendships, have given assistance and encouragement. Mr. Farquhar has read parts of the manuscript and made helpful suggestions. His library has been drawn upon in the course of my work. The more recent photographs reproduced upon the following pages are credited to their makers, to each of whom I am deeply beholden. For use of the very old pictures used herein, I am indebted to the Yosemite Museum, and to Superintendent Frank Kittredge I express thanks for this and many other helpful acts performed by him and his staff members in furthering my efforts. In the sixteen years that have elapsed since One Hundred Years in Yosemite first appeared, notable changes have taken place in the geographical boundaries of the national park, physical developments within the reservation have, so far as possible, kept pace with progressing modes of vacationing, and some eight million visitors have journeyed to its wonders. A number of the historic caravansaries that served so conspicuously during stagecoach days have been removed from the scene, and the one-time dusty, tortuous routes of access have been converted to safe, surfaced roads of beautiful alignment. A world-shaking conflict has been waged, and the superlative values of the park have emerged from that war unaffected by the demands of “production” interests. Many earnest men have applied themselves in guarding the precious values of the great reservation. Some of these conservationists have virtually died in the harness. A growing appreciation of the work of these men is evident, and there is notable acclaim also of the far-sightedness of unnamed leaders who in 1864 obtained the epoch-making legislation that gave America her first public reservation of national park caliber. It has been gratifying to me to observe some practical usefulness of my original compilation of Yosemite history, and this new version of the work is offered with the hope that it may continue to guide public attention to the significance of the action of pioneers who led the world along the paths of scenic conservation. Upon the executives who now plan and administer programs of protection and management in Yosemite rests a responsibility that gains in magnitude in proportion to the growing pressure exerted by the hordes of people who seek the offerings of the park. The nation is yet in a pioneering stage in defining Yosemite values and regulating their use. In the light of experience of the past, it should be possible to discern some of the path that lies ahead. The ability to discern even the more subtle influences affecting the security of Yosemite and other great national parks has become a “must” for National Park Service executives. This sensitivity has not developed overnight, but now it approaches maturity. Director Newton B. Drury has exercised a leadership in this regard which marks his period of service as the apex of clear thinking on national park problems.